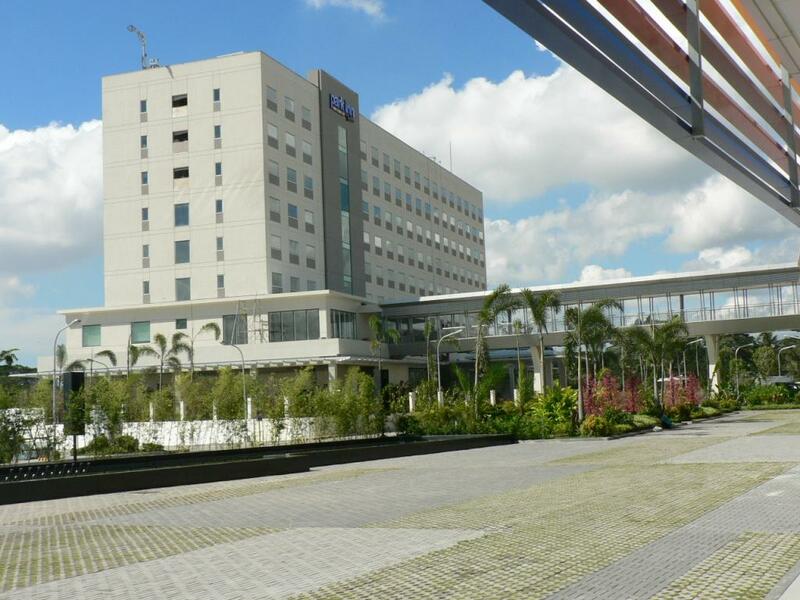 Park Inn by Radisson Davao is a newly built eight-storey hotel with 198 standard rooms and six junior suites classified as a four-star mid-class hotel located within an area long been known as an affluent residential and commercial segment north of Davao City in the District of Lanang. The P750 million hotel is designed to provide business and leisure travelers to the city with modern accommodation and essentials at par with international standards suitable for its class at affordable rates. It has an outdoor swimming pool, a state-of-the-art gym facilities and fitness center, four meeting rooms that can each accommodate up to 45 persons suitable for formal and informal meetings and events, and an all-day dining restaurant bar and grill. Each standard room is about 25 square meters while a junior suite has an area of 55 square meters and both types of room come with bright, bold, and vibrant room interiors with beautiful landscape views of the city and nearby islands. In-room amenities feature a complimentary high speed Internet, an LCD television, a DVD player, Nespresso® coffee and tea provision among many others. Park Inn by Radisson Davao is situated within the 175,000 square meter mixed-use SM Premier Lanang shopping and convention complex, owned and developed by SM Hotels and Conventions Corporation, a wholly owned subsidiary of SM Prime Holdings, Inc. owned by founder and businessman Henry Sy, Sr. Management and operation of the hotel is handled by the American based company Carlson Rezidor Hotel Group, one of the world’s largest and dynamic hotel groups with 1,300 hotels in 81 countries. The hotel is the very first Park Inn by Radisson in the Asia Pacific region and is a higher level but mid-scale for the Asian market than the Park Inn by Radisson hotels in Europe were they are classified as three-star hotels. Park Inn by Radisson is one of the hotel brands under Carlson and is the largest mid-market brand for hotels under development in Europe. The hotel is located beside the SM Lanang Premier shopping complex and the SMX Convention Center along J. P. Laurel Avenue in Davao City and is easily accessible by private and public transportation. It is about 15 minute drive from the Davao International Airport and to the downtown area. Photos courtesy of, and many thanks to Park Inn by Radisson Davao Facebook Page and SSC-Davao. 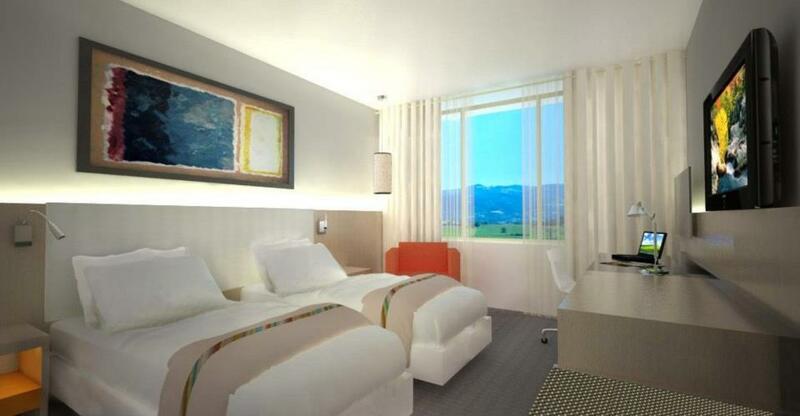 The hotel is scheduled to be opened to the public next month, February 2013. Wow! It is almost the same with the radisson blu in Cebu. It has great interior design too. I hope rate will not be the same with their Cebu hotel -Radisson Blu. But I doubt it, as this is a new built hotel. SM is really investing in Davao which is a good development in the city. Because of this it will create more Jobs in Davao . More hotels, more tourist and more investors! Forward Davao City! Thanks for this great blog! Im your avid fan! !